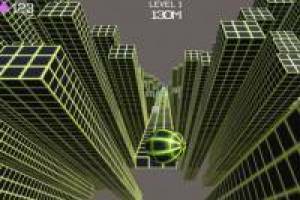 Rolling Ball 3D is a game based on the successful Slope, the game in which you must control the ball on the platforms avoiding falling into the void. Your mission will be to travel as many meters as possible without falling while you progress in the different levels of the game. You must be very careful with the red blocks because if you touch one you will lose the game. 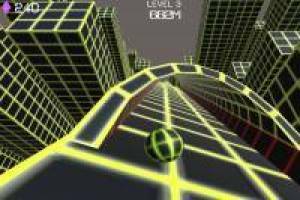 Control the movement of the ball and take the ramps to acquire height and reach the most distant platforms. Collect the blue diamonds to add them to your marker and use them in improvements within the Rolling Ball 3D store. Enjoy the game Rolling Ball 3D, it's free, it's one of our Play store games we've selected.